Have your logo or message custom printed on a black Tweek drumkey-clip! Click above for more info and pricing. Allow 4-6 weeks for delivery. Slug bass drum accessories improve drum sound and pedal performance. Used together, Slug products will add a new dimension to your bass drum playing! 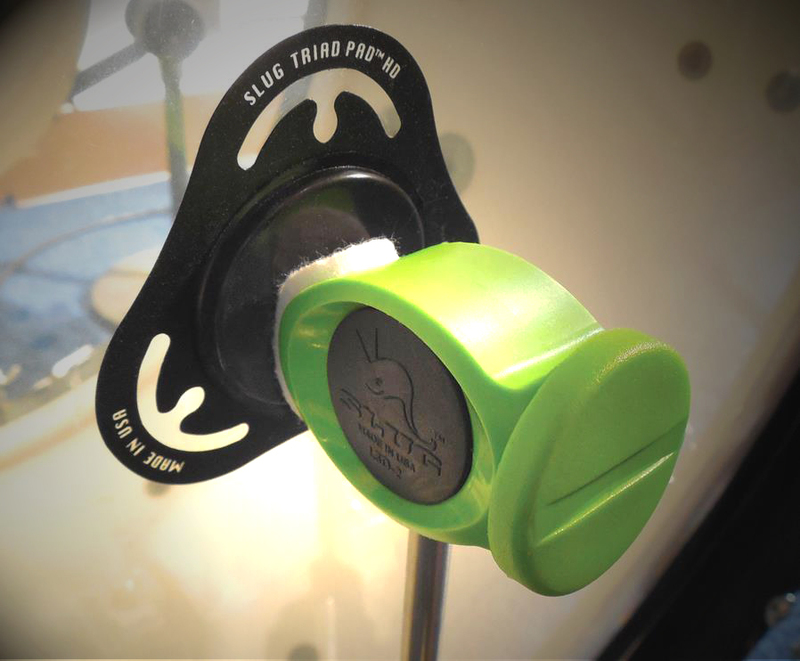 If you are considering a new pedal, try a Slug Power Head Beater first! The Power Head's patented head shape and tapered shaft design provide improved pedal feel and kick drum volume. Your pedal is probably fine, it's the beater that makes a difference in foot feel and drum sound. As stick is to hand, beater is to foot. Slug Muffelt tone control strips last for years and are made of the highest quality wool available for maximum muffeling of drumheads. No other brand compares to Muffelt bass drum strips, and our floor tom Muffelt is the first of it's kind. 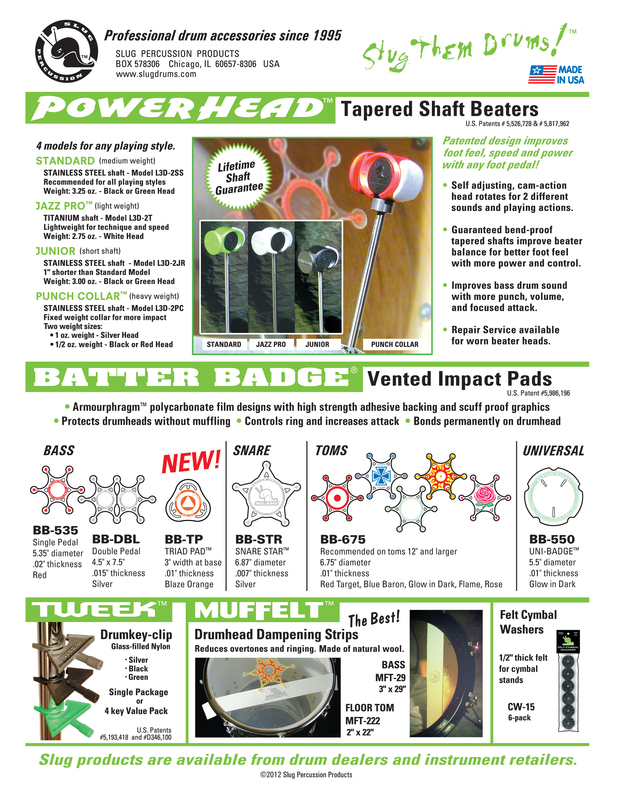 Batter Badge vented impact pads protect drumheads and control ring, increase attack but don't muffle. 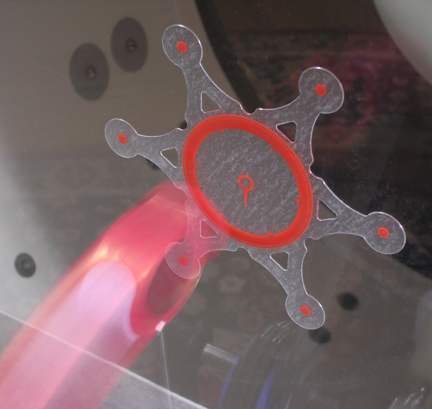 The patented Badge designs incorporate vents and unique peripheral edges to allow drumheads to vibrate naturally, controlling impact distortions and enhancing the desireable sonic qualities of the drumhead. Have Slug put a brand new head assembly on your worn beater. All Slug Power Head models can be reconditioned. Send your worn beater to Slug and it will be returned to you good as new! <CLICK HERE FOR SERVICE INFO>. Read what drummers are saying about Slug products! BIG BANG QUICK LINK To Shop!